It’s not enough that WIX makes great filters; WIX wants to make sure that you have as much information at your fingertips as you might need. That’s why we provide you with additional Training, whether it’s through the WIX Institute, our online eLearning training program or our WIX Videos. In addition, we provide an up-to-date list of our Globally Harmonized System Safty Data Sheets (GHS-SDS), as well as Technical Bulletins. 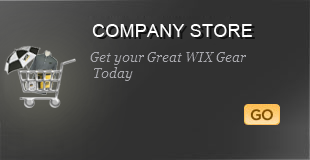 Don’t forget to check out our News Releases for timely updates on our New Products, Promotions and WIX Sponsorships. Need more? WIX has a list of our favorite sites “around the web” under Related Sites and WIX Connect is available with additional information for you.